Dipti Shah is Principal and Owner of ADN LAW. Following working in the city for trade union firms, advising on personal injury and employment issues for employees, Dipti set up ADN LAW in 2006. With the vast array of employment law demands placed on employers, her clients soon expanded to businesses ranging from start-ups and SME’s to larger companies. Her broad experience in advising both employers and employees places her in the enviable position of being able to consider issues `from the other side’ and give strategic advice. Dipti’s friendly approachable style immediately puts clients at ease. Her ability to put herself in the clients’ shoes gives her a valuable insight into their requirements making her a reliable and trustworthy source of advice. She has an impressive ability to recognise and identify issues quickly and provide pragmatic solutions. 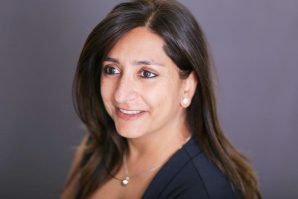 An avid training provider, Dipti also enjoys delivering bespoke training to Employers on effective employee management and best Employment practice. Her charismatic delivery of complex legal issues makes law accessible to first line managers as well as HR equipping them with the relevant skills in the positive management of staff. Outside of work, Dipti enjoys learning and development! In the course of a legal career, she has also attained an ITEC Diploma in Anatomy & Physiology, become an accredited NLP Practitioner and is currently training to be a Business coach. Dipti’s passion for promoting happy working environments sees constant initiatives for businesses to invest in its’ people. Her past-times include photography, theatre, singing and reading, whilst also pushing the boundaries of fitness development! She also has a keen interest in supporting fundraising initiatives and participating in charitable events. Dipti has a team of trusted advisers that work with ADN LAW. Her collaboration includes business coaches, training experts, Barristers with expertise in specific areas of Employment Law and HR Advisers. ADN LAW collaborates only with carefully selected partners that share the same core values as ADN LAW to deliver consistent outstanding dedicated client service. Ultimately, it’s not what we say about ourselves that counts. The true measure of our value is what clients say about their experience with us. “The service I received was excellent. The communication throughout were timely and clear. The tone of the experience was calm and supportive.